Never did I think I would find a country that ties with Italy in the food category. In fact, Japanese dishes and Japanese food, in general, have very much the same themes that food in Italy does. The themes are freshness, simplicity and using seasonal ingredients. Let the beauty of the ingredients speak for themselves. The Japanese even take it one step further with artistry. 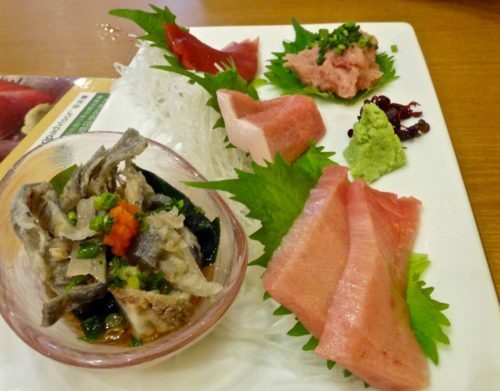 Below are 19 Must Try Japanese Dishes, some obvious and others not so much. Side Note: I have a major sensitivity to seafood and fish if its not handled properly. Some cooked prawn fritters from a fairly reputable Thai place down the street sent me crashing to the floor with stomach pangs and hives not too long ago. I ate fish and seafood every single day I was in Japan and didn’t suffer one bad reaction. The Zyrtec was always handy but never needed. 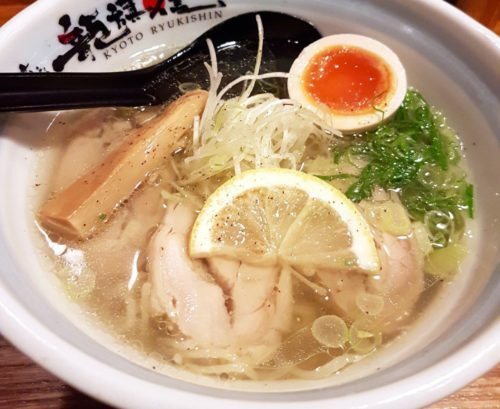 Whether it’s food from the supermarket, train station, street vendor or high end restaurant, the food in Japan is always fresh. 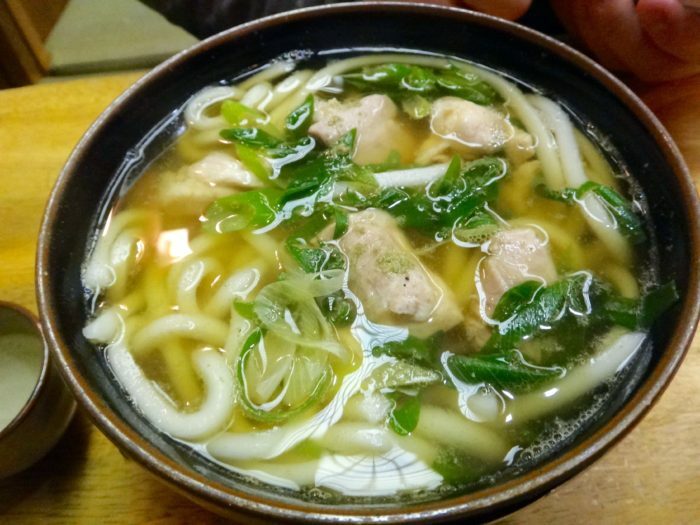 A thick wheat flour usually served in a soup made of soy sauce and mirin. Below is chicken and leek. We probably ate it five other ways while in Japan. Once with tempura, curried udon, seafood etc. Also known as ‘kaiseki’, kaiseki ryori are traditional, multi-course Japanese dinners. They consist of fresh, seasonal and most times local produce. 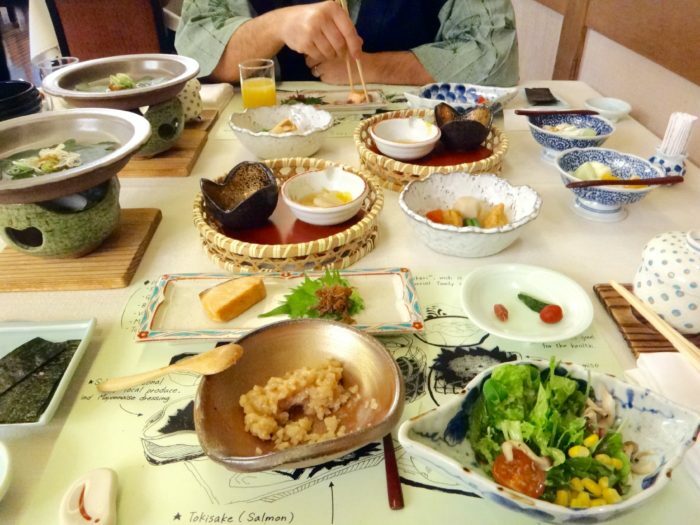 A full kaiseki can involve twelve or more courses with each prepared in small servings. The courses demonstrate different Japanese cooking techniques. We wore a traditional yukata (robe) to our dinner and breakfast kaiseki in a ryokan (traditional Japanese style inn). The experience is considered an art form. Promoting the consumption of beef is a tough one for me. I eat red meat about once or twice a month. 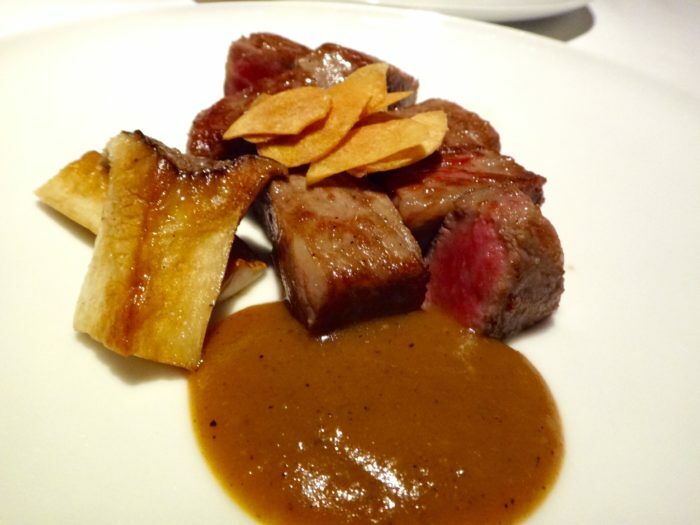 I saved my allotment for Japan because I absolutely wanted to try Kobe Beef. It was one of those must try Japanese dishes. Trust me when I tell you that the “Kobe” sliders you tried at your local steakhouse don’t taste anything like Kobe beef in Japan. You can read about how American restaurants continually lied to the public for years by labeling their beef as Kobe in this article: The New Truth About Kobe Beef. Kobe beef is generally pretty expensive, that is a downside. We paid $170 just for two 160 gram portions of Kobe beef in Kyoto at a good restaurant, not including the cost of starters, wine and dessert. But, it was UH-mazing. The perfectly marbled beef is one of the best pieces of meat I’ve ever tried. No explanation necessary. 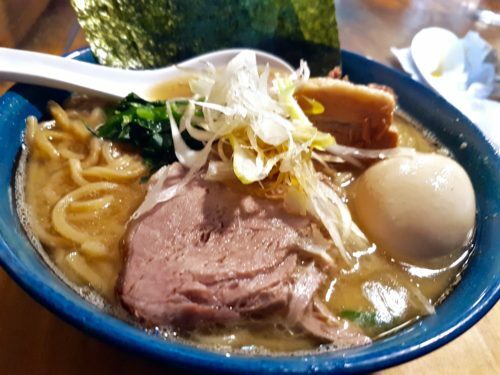 One thing though, the ramen I had in Japan at these little hole in the wall eateries forever changed my whole perception of what this amazing, perfect for after the bars or on a cold day, dish really is. The pic below on the left is a healthier version with a lot less pork fat in the broth. On the right, a full fat version about twice the size and much richer. Both are delicious. 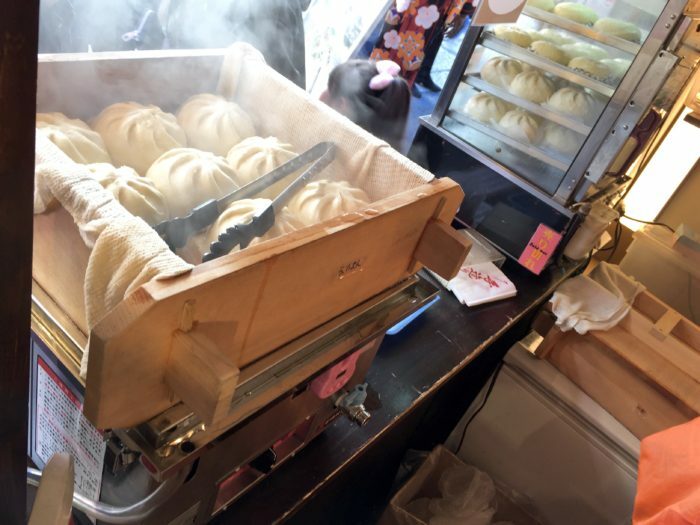 The ultimate Japanese street food. A ball-shaped snack made of wheat flour batter and filled with minced octopus and topped with pickled ginger, scallions and different sauces like mayonnaise and Worcestershire sauce . They are super hot inside when you get them and should come with a “May burn your mouth” warning label. 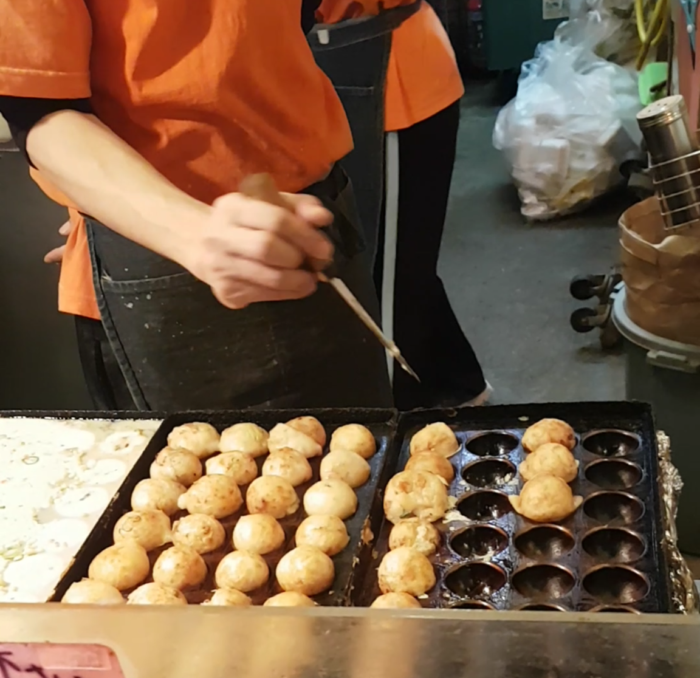 Many variations to the takoyaki recipe exist in Japan. They’re all pretty delicious. The best ones we had were at Senso-ji Temple in Tokyo and Nishiki Market in Kyoto. There are different types of sushi. 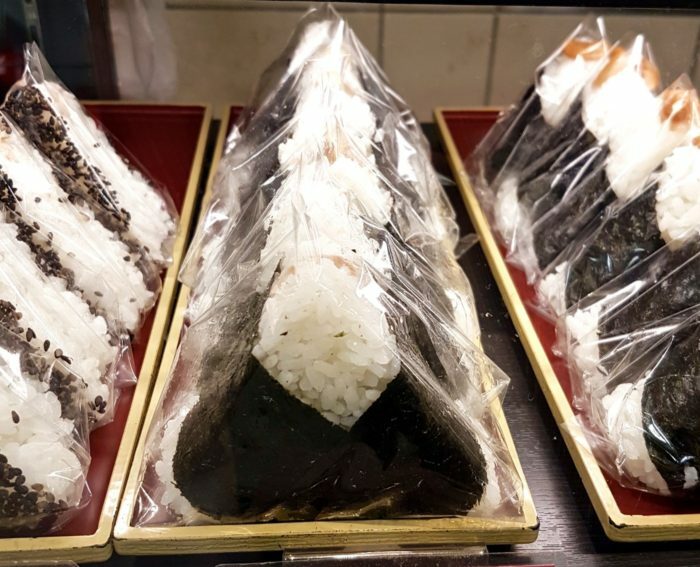 The basic variations are nigiri (fish on a ball of sushi rice), sashimi (fish without anything), maki (seaweed-wrapped), uramaki (rice on the outside) and temaki (sushi in a cone shape). 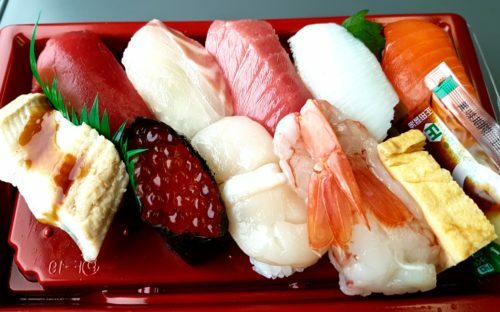 My personal favorites are nigiri and sashimi. I probably ate nigiri sushi about 12 of the 15 days I was there. Could not get enough. Sushi in Japan is just worlds apart from any sushi I’ve eaten abroad, high end restaurant or not. a Japanese rice bowl consisting of fish, meat, vegetables or other ingredients simmered together and served over rice. I tried this one with chicken and egg. The texture of the egg stew was interesting to say the least but it was tasty. 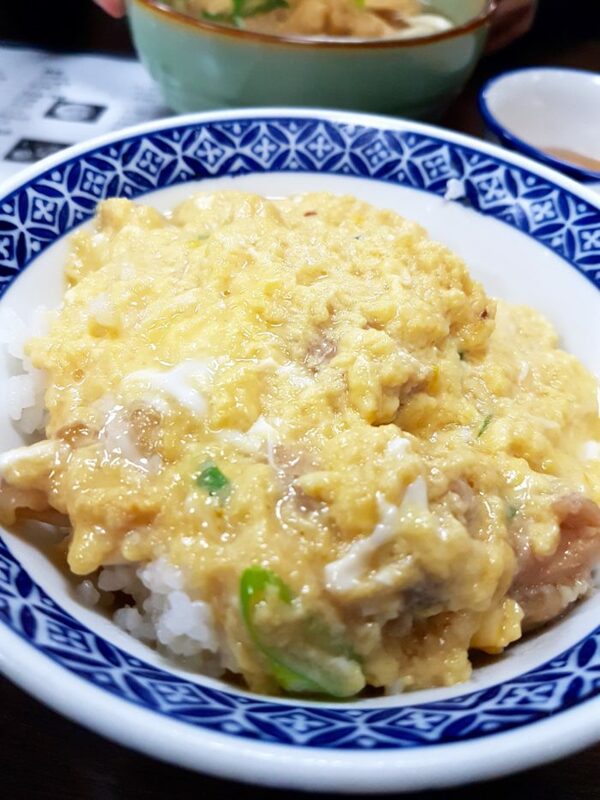 Japanese Dishes – Donburi, meaning bowl. 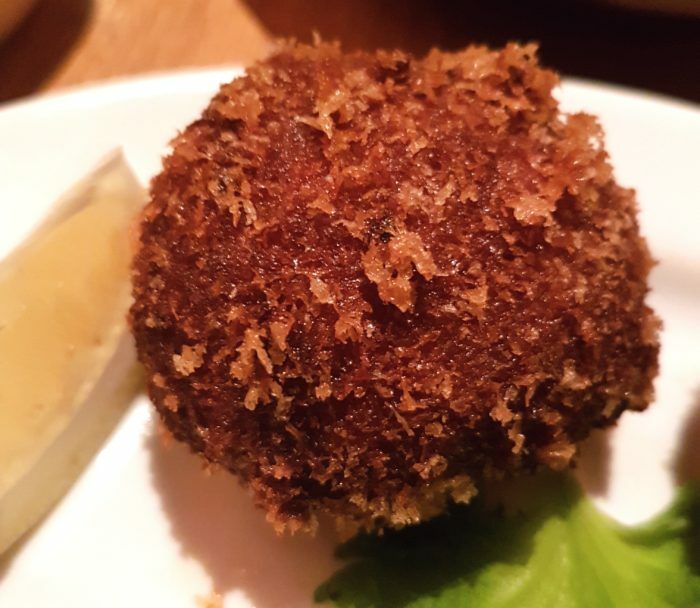 Deep fried breaded pork cutlet. Typically it’s served sliced but we had ours in ball form. Fried goodness. A Japanese omelette made by layering cooked egg. 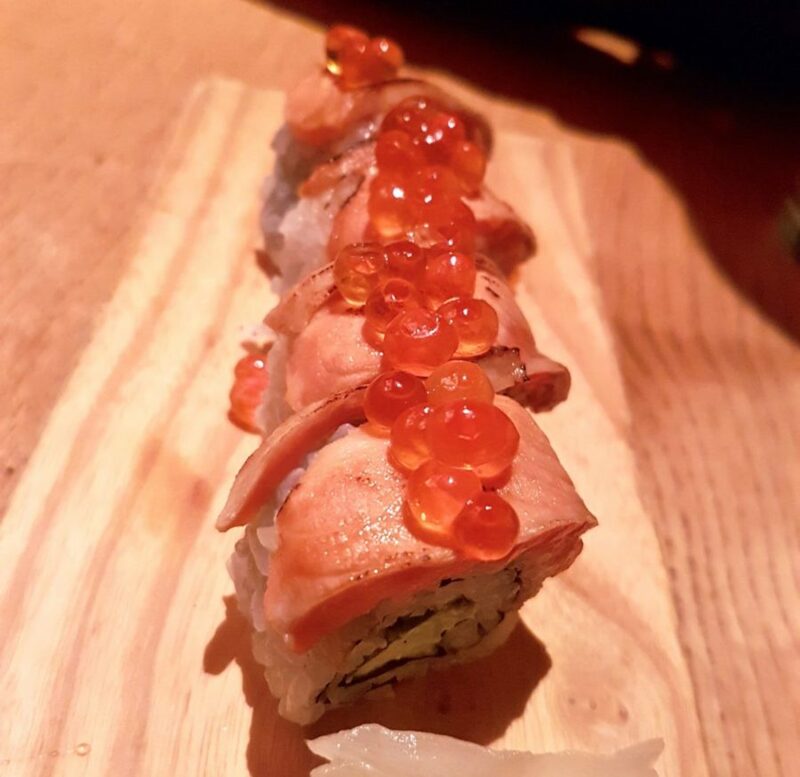 It’s served many ways and even in sushi. I don’t like the Tamagoyaki I’ve tried outside of Japan. But in Japan, it is delicate and scrumptious. Here’s one of the ways we tried it. I’m so happy I didn’t overdose on tempura, it was a serious likelihood. After the first three days of non stop tempura, I took a step back. Glad I did because it gave me a chance to sample all the other wonderful Japanese dishes. 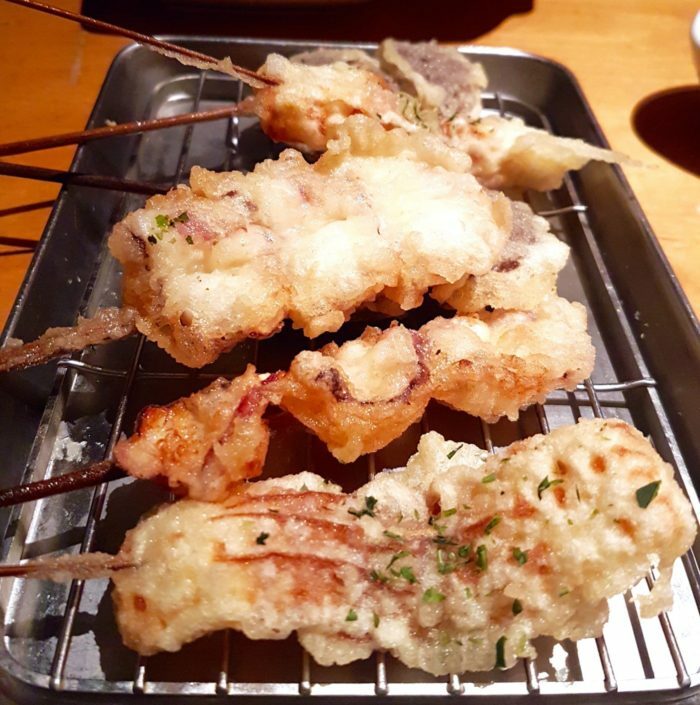 Obviously, you’ll still have tempura in Japan but try some different ones. Below was oyster mushroom and octopus. 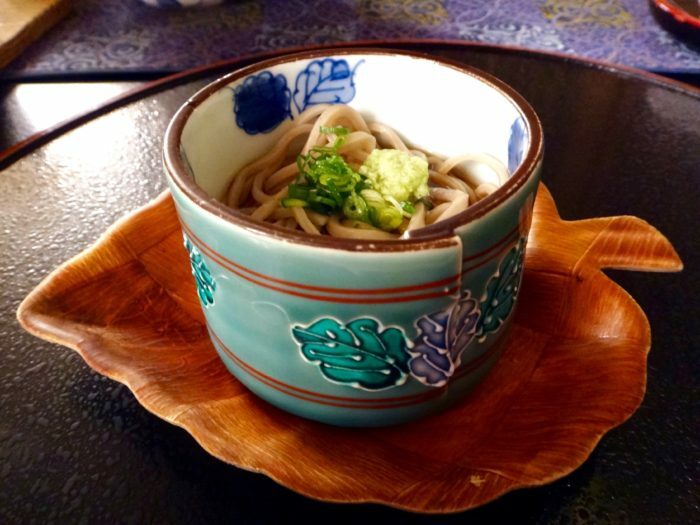 Not to be confused with udon or ramen, soba noodles are made from buckwheat. Pretty healthy. I enjoyed them cold with wasabi. Okonomiyaki is a popular pan fried, savory pancake that consists of batter and cabbage. Selected toppings and ingredients are added and can range from anything such as green onion, meat (pork belly), octopus, squid, shrimp, vegetables, cheese, etc. Okonomiyaki is sometimes referred to as a “Japanese pizza.” It’s oh so good. 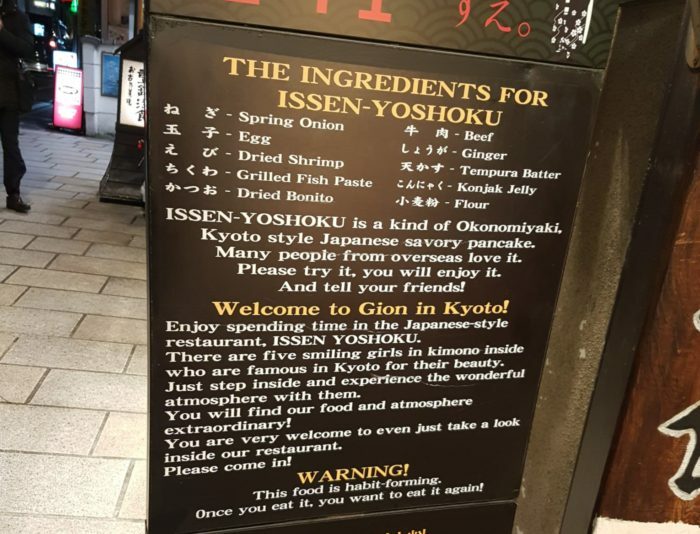 We tried some in Gion, Kyoto. Didn’t take a picture of the dish but here is the advertisement outside the restaurant. Haha. A Japanese version of the Chinese steamed pork buns. The dough is much softer than any Chinese version I’ve tasted. Sushi’s casual friend. A rice ball made of white rice formed into triangular or cylinder shapes and wrapped in nori. 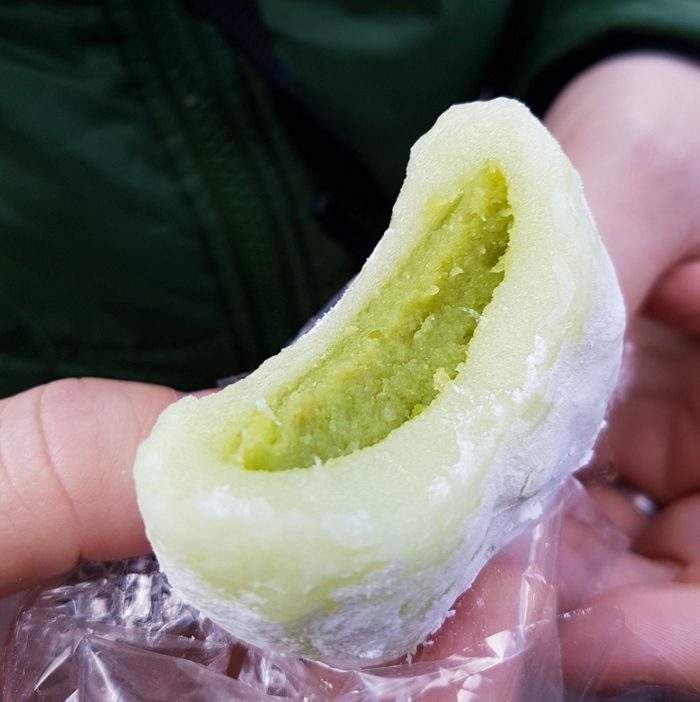 It is filled with pickled ume, salted salmon or any other salty or sour ingredient. Found in a lot of convenience stores and supermarkets and sometimes with various fillings and flavors. 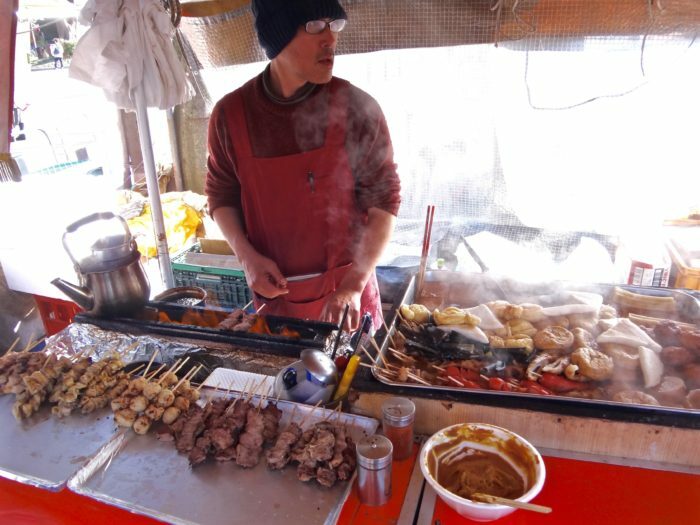 A Japanese street food that is essentially skewered meat. The skewer can have chicken thigh, gizzards, chicken skin, pork, chicken liver, etc. Grilled over a charcoal fire and seasoned with salt or sauce after. We sampled some chicken thigh skewers in Ueno Park in Tokyo. 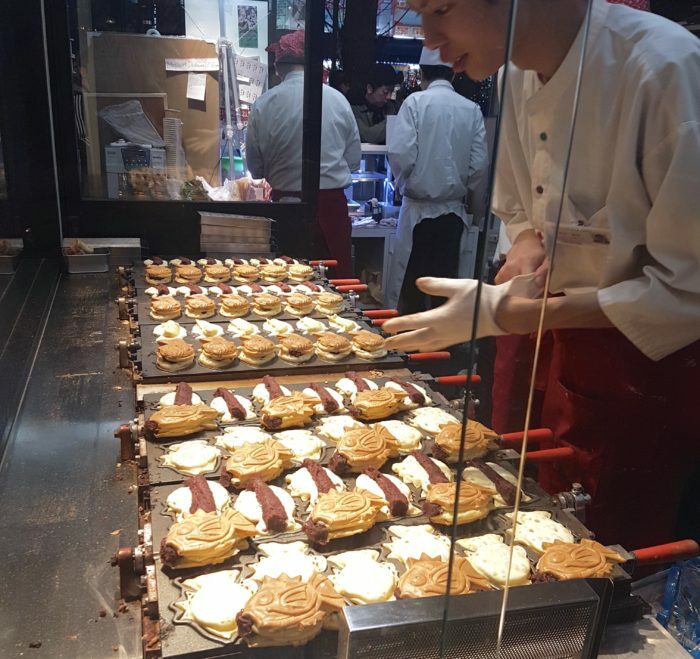 I was blown away by how incredible the desserts in Japan are. On par with famed European counterparts. While the Japanese excel at traditional western desserts like chocolate mousse, cakes, pastries and fruit tarts, I am highlighting more traditional Japanese dishes here. Try It All. Ice cream, pastry, whatever. 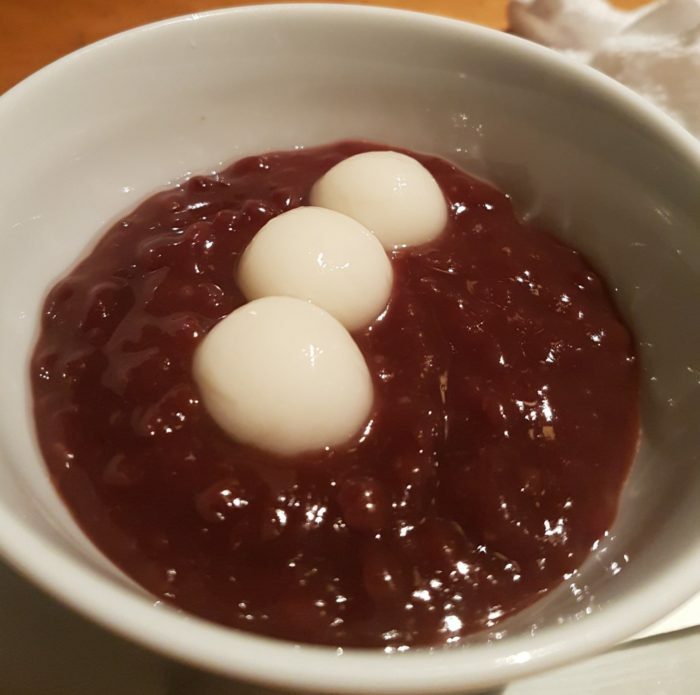 This is in pure form but, generally, you’ll find desserts that have a little spread of red bean paste put in the center of delicious pastry, cookie, dough, etc. 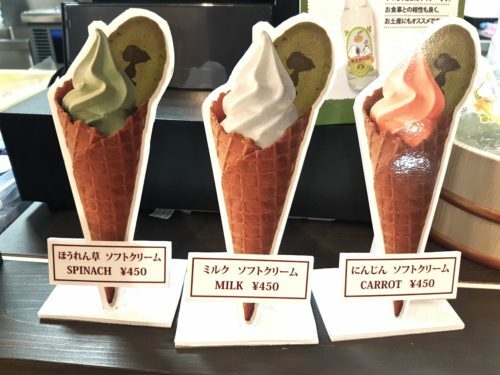 There is a fascination with soft serve ice cream in Japan. Even on an a winter day, we saw locals enjoying ice cream everywhere. Make sure to try one of the interesting flavors! 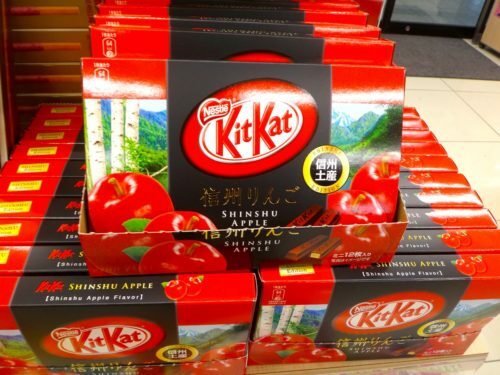 Same goes for Kit Kat! Made from the fluffiest batter you’ll ever taste. Filled with sweet bean paste or vanilla cream and sometimes chocolate. They come in different shapes from Hello Kitty to cute birds. These were fish shaped and we came back for seconds. 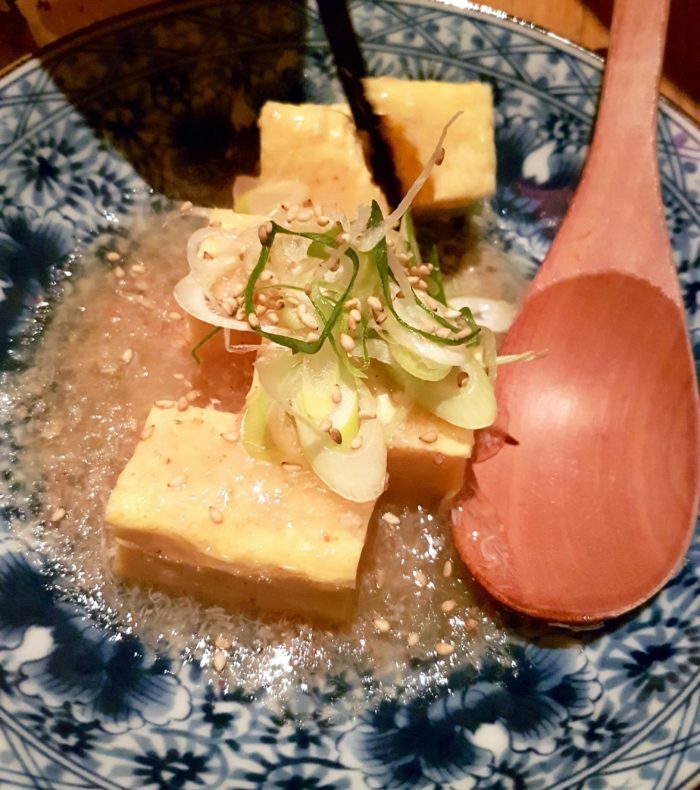 We ate ALL the Japanese dishes in this post, and more. You know what? We only put on a couple of pounds. In 15 days of non stop eating, that’s pretty good. Wanna know my theory? The body much prefers fresh and non processed food. Japan is a country that prides itself on these concepts. Like Must Try Japanese Dishes? Pin It!